Ever since I took my first piano lesson at 6 years old, music has been an integral part of my life. When I was in high school I learned simple music production skills such as cutting and pasting tracks, recording, syncing of tempos, and mixing tracks on Garage Band. 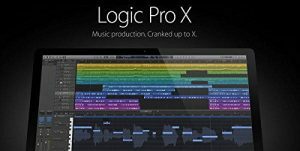 Nevertheless, after coming to Dickinson and walking into the Media Center, I was introduced to Logic Pro X, Mac’s professional recording studio that helps you from the moment you set up the instrument you need to play the first note to the moment you fully master several tracks and create a final song. The software costs $200 but at Dickinson, you can utilize it for free! From the moment you open up Logic, you can create a new project or select previous projects you’ve worked on. From there you can pick whether you’d want an Audio track, software instrument, drummer track, or other types of track, and the inputs and outputs of the tracks as well. Normally, I use different tracks for different instruments. For example, I always use an electric piano track, a drummer track, and an electric guitar track to start off a song. The best way to make sure that your tracks are synced up with the right input and output see if the sound comes out when you play a note and if the sound comes out without a lag. What comes after setting up your input and output as well as your tracks, is being able to select your plug-ins and find that unique sound you are looking for. Personally, this is my favorite part because this is where you get to find a Synth Bass to accompany a Raindrop piano keyboard and an Atlanta drum set. 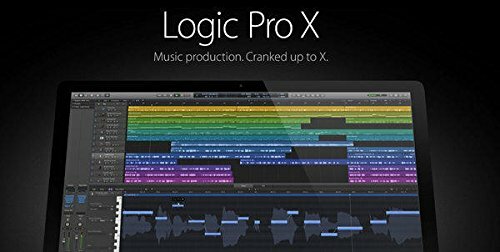 From a selection of thousands of thousands of different drum-kits, and plug ins for MIDI and software instruments, Logic gives you the freedom to recreate your favorite tracks or become a producer yourself of your own music. If there is one tool or aspect of Logic that has helped me easily create tracks and make even the most offbeat and off-tempo tracks sync up and sound nice, it has been the Quantize tool on the sidebar on the left. The Quantize tool helps sync-up notes played on midi or software instrument tracks to be played on every 1/4 note, 1/8 note, or other possibilities. Most recently, there are personalized drummer styles and kits that have been added by Logic that allow you to use already pre-set drum kits that already have beats which can make it easier for one to play a bass or guitar riff that will sync up with it. Also, Apple has recently come out with a Smart Tempo system that will keep multiple tracks in sync regardless of their original tempo. Logic has gone from being a hobby to a passion, because of the fact that it is a software that will take time to master but once you get the hang of it, you can start creating great music and content that I promise you’ll be proud of. The Media Center Studio is being converted into a staff and faculty recording space. It is no longer available to students. Exceptions can be made with a professor’s permission.